Stopping secret agencies and data thieves. As simple as email. As secure as Fort Knox. Secure. State-of-the-art data encryption preserves your messages against data spies. Anonymous. briefgeheimnis.at does not know the sender and recipient of messages. Easy. Secure communication has never been as convenient as your usual email client. Only you decide on who reads your messages. Whether you communicate with your lawyer, your physician or important business partners: intimate and confidential messages must not fall into the wrong hands. However, traditional email communication is not secure: secret agencies, hackers and even providers of email services themselves collect and analyze digital messages on a large scale and breach the right to privacy of millions of people. 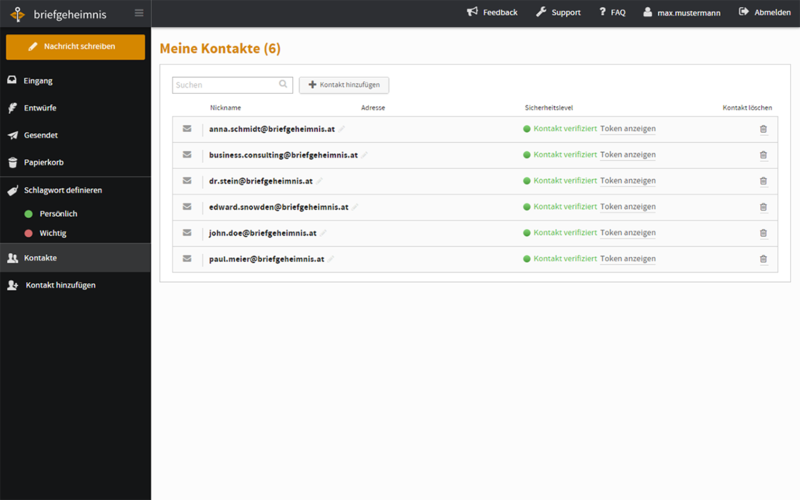 briefgeheimnis.at is a novel service for securely sending messages over the Internet. In contrast to common email services, it protects your confidential messages through state-of-the-art technology and preserves the crucial civil right of correspondence privacy also in the digital age. Patented security. User-friendly. 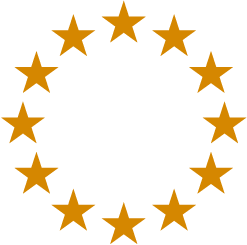 Made in Europa. State-of-the-art technology. briefgeheimnis.at combines cryptographic methods verified by security experts, in an innovative way to eliminate former security flaws and thus to comprehensively protect your messages. Our patented approach ensures the anonymity of both sender and recipient, detects manipulations by third parties and affords complete end-to-end encryption of the message content. Learn more about the technological foundation of briefgeheimnis.at. Convenient use. Existing security tools are mainly difficult to use and applicable only by experts. 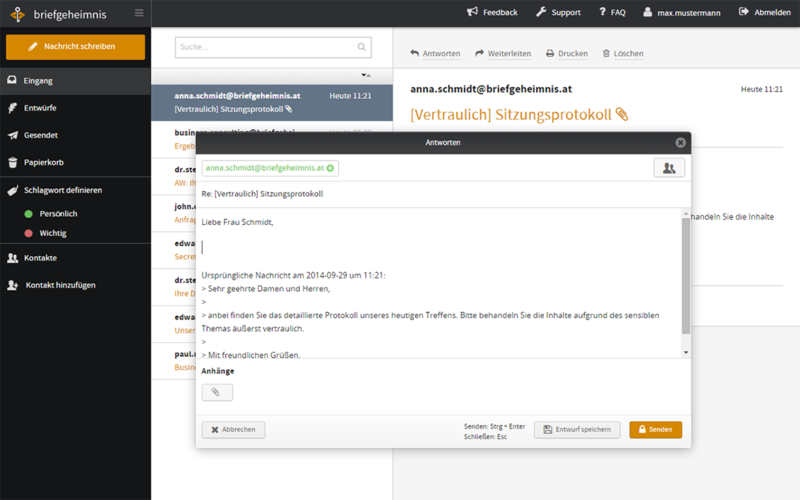 briefgeheimnis.at hides the technological complexity: its elegant Web user interface resembles common email clients and thus makes its application a snap. Learn more about using briefgeheimnis.at. 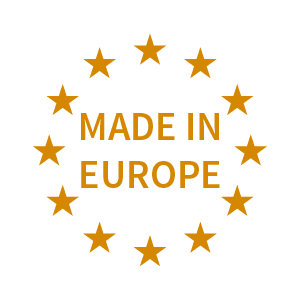 Made in Europe by world top class professionals. 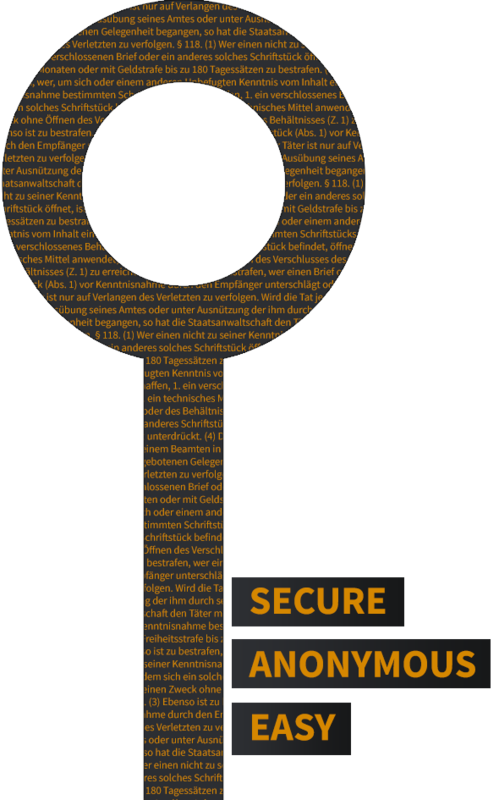 briefgeheimnis.at is developed by experienced security specialists and internationally renowned IT experts from Austria. 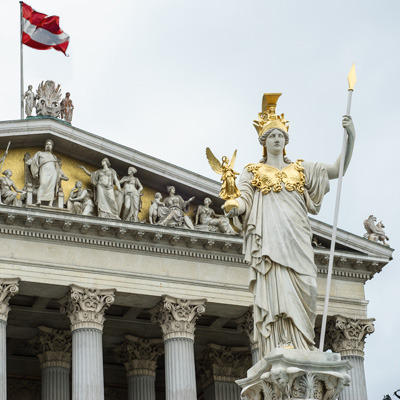 The system is also operated in Austria, thus assured by Austrian law and protected against access by governmental authorities – in contrast to cloud services located in the US. Learn more about RISE. Complete security. Tailored to your needs. The proven technology of briefgeheimnis.at can be integrated into your mission-critical applications to increase their security. Please contact us. We customize our secure communication platform with any additional features to your special needs, operated in our or your datacenter with full technical support. Please contact us. 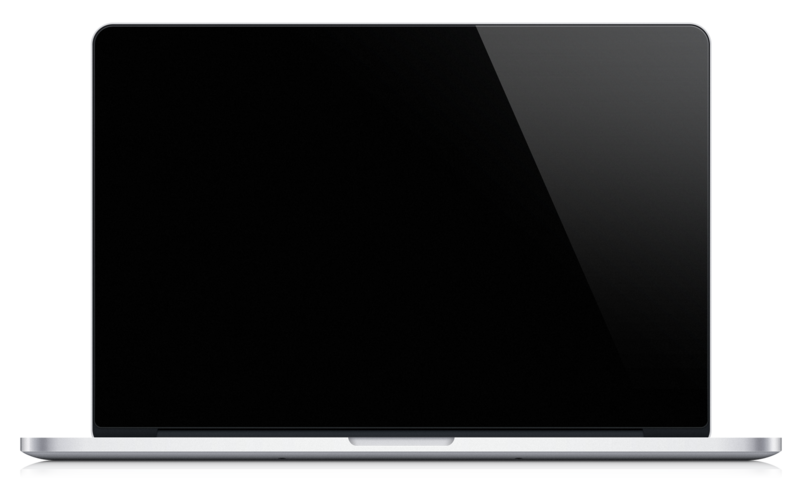 Use Internet telephony also for critical conversations – recording or tapping impossible. Send secure messages even more conveniently from your smartphone. Also protect your mobile text messages and make them tap-proof. 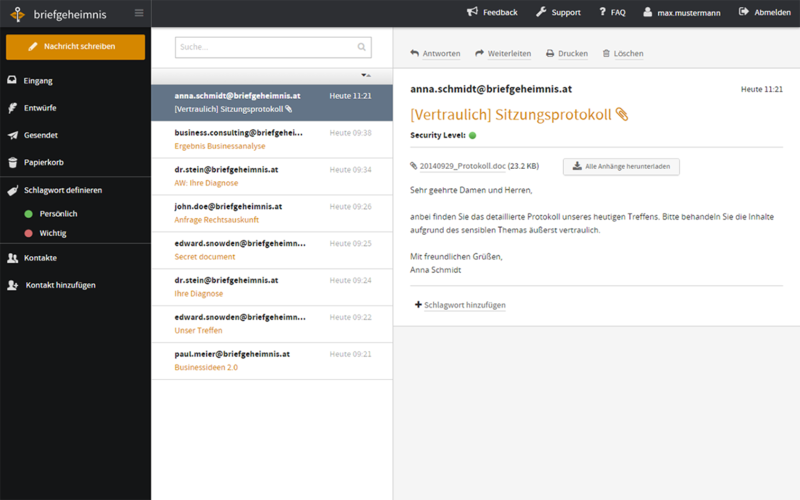 Do not use insecure cloud storages for sharing your business documents but approved briefgeheimnis.at technology. The knowledge of leading security and IT experts. In contrast to other countries, Austria supports systems like briefgeheimnis.at and assures their existence.  Austria and Europe will protect the civil right of correspondence privacy and thus the motivation of this platform permanently. Former high-level executives in intelligence services of military and police, with a strong interest in preserving the privacy of communication in the Internet. The professional network of these insiders ensures the verification of integrity of briefgeheimnis.at. Co-initator of briefgeheimnis.at. Internationally recognized IT expert for very large systems and general government infrastructure. Among other things, builder of the e-card system in Austria and technical head of one of Europe’s largest IT systems. 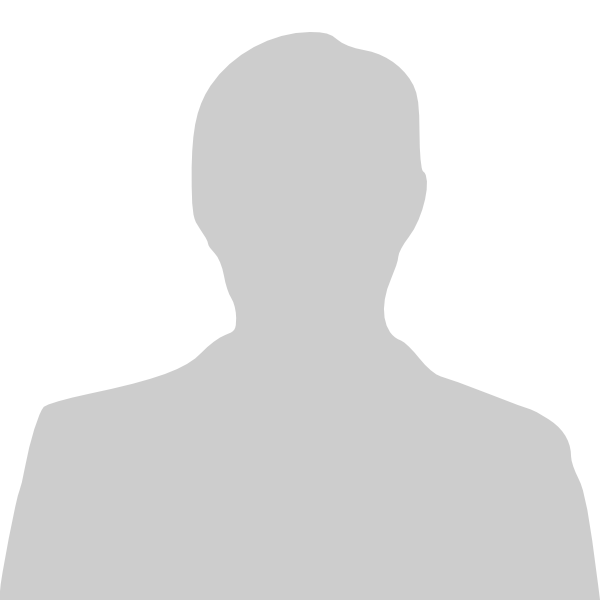 Chief architect of briefgeheimnis.at. For more than 25 years builder of large IT systems with highest security requirements such as banking and healthcare systems. The Research Industrial Systems Engineering GmbH is an internationally established and recognized IT service provider with more than 20 years of IT experience in planning, IT architecture, IT infrastructure, IT strategy on the one hand and software development, smart piloting, project and risk management on the other.